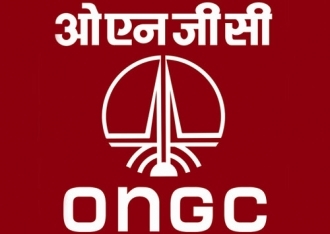 Oil and Natural Gas Corp (ONGC) is likely to nominate one director on the board of recently acquired Hindustan Petroleum Corp Ltd (HPCL) while retaining all the present directors of the company. ONGC late last month completed acquisition of the government's 51.11 per cent stake in HPCL for Rs 369.15 billion. HPCL is now a subsidiary of ONGC. Like its other major subsidiaries -- Mangalore Refinery and Petrochemicals Ltd (MRPL) and ONGC Videsh Ltd, ONGC is likely to nominate just one director on the board of HPCL, sources privy to the development said. HPCL board currently has four functional directors besides the Chairman and Managing Director. It also has two government nominee directors and six independent directors. Sources said the Articles of Association of HPCL provide for the board to be made up of a maximum of 20 directors, including independent ones. ONGC can, theoretically speaking, nominate more than one director but such nomination would have to be matched by an appointment of an equal number of independent directors, they said. So, while ONGC can nominate 3 directors, it may eventually name only one, they added. MRPL and OVL both have just the ONGC Chairman and Managing Director on their board which has Managing Director and functional directors. Both the firms have government nominee directors and so the two government nominee directors on HPCL board would also continue, sources said. Since HPCL by virtue of 51 per cent shareholding of ONGC, continues to be a central public sector enterprise (CPSE), its board members would continue to be appointed by the government. Sources said the only question that remains is of the status of HPCL Chairman and Managing Director. While ONGC's present subsidiaries MRPL and OVL are headed by Managing Directors with ONGC Chairman being the company chairman, there is a thought that HPCL Chairman and Managing Director Mukesh Kumar Surana may be allowed to hold his designation and the Coal India Ltd (CIL) model for governance of subsidiaries is followed. CIL, the world's largest coal producer, is the holding company whose board is headed by a Chairman and Managing Director. It has eight subsidiaries like Eastern Coalfields Ltd and Bharat Coking Coal Ltd, all of whom have a board headed by Chairman and Managing Director. The Chairman and Managing Directors of the subsidiaries report to CIL head. Sources said if this model is followed, Surana will continue as Chairman and Managing Director of HPCL who would report to ONGC head Shashi Shanker. Prior to the stake sale, the government made it clear that HPCL would continue to be a central public sector enterprise (CPSE), retaining its separate identity and brand and will be independently run by its board.